Atlanta Hostel@New Delhi Train Station i New Delhi, Indien: Reservér nu! group booking we have max-mam ten people on board it will be in one 10 bed dormitory and have 2 bathrooms . We constantly strive to provide you with quality hospitality in the most efficient manner so as to also make your trip to the city easy on your pocket. 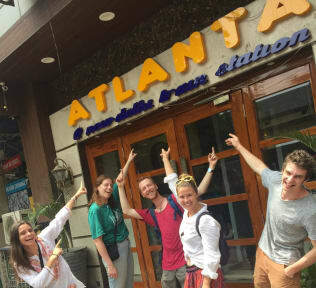 With our affordably priced tour packages and restaurant, the hostel tries to offer you a complete holiday or travel package so that you do not need to spend that extra buck on having to avail these services outside. Once you check in to our hostel we try our level best to ensure that you do not have to bother any further with the hassles of travelling in a new city or country.